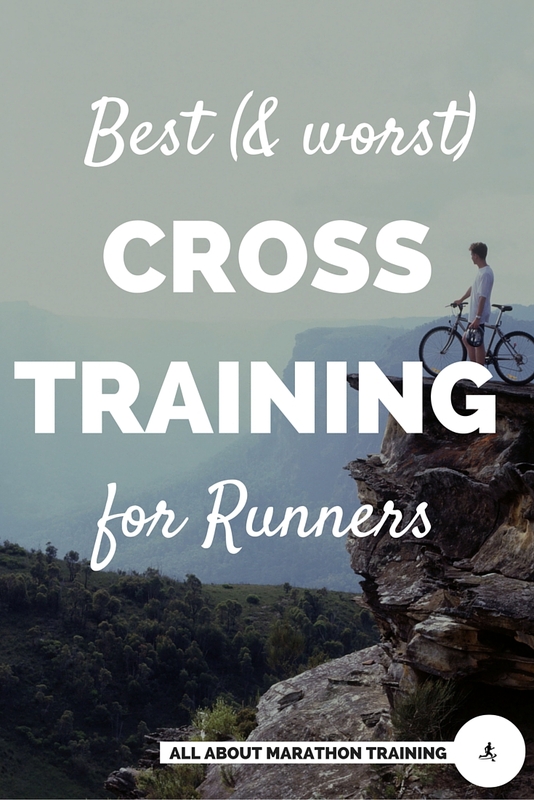 We’ve talked before about how strength training is the best form of cross training for runners. You might not need to do any strength though as you can get all of the strength training that you need as a runner by running and specifically by one simple running add-on workout that I am going to share with you in case you don't already incorporate them into your training week: Hill Sprints! 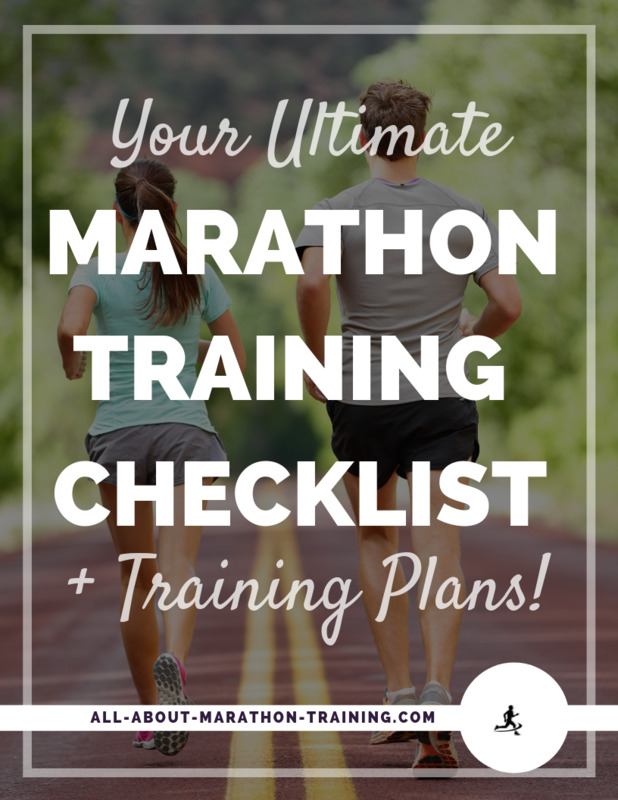 A lot of coaches argue that you do not even need to cross-train while training for a marathon. Your volume of running is what you should focus on while training for a long distance race. I think that it is dependent on your goals. If you are training to finish your first marathon with no time goal then I think that volume is important as well as having an overall base of fitness and that is where I encourage strength training as the cross training of choice for beginner marathoners. Those who are running more competitively (i.e. are training for a time goal) might benefit more from only cross training every so often instead of on a weekly basis (if you are beginning to feel run down, over-trained, etc.) but when training for a time goal you want to keep your focus on your running volume and the quality of your workouts. As a runner, hill sprints are THE best form of strength training because they are specific and functional. No matter the sport you are training in you want to always, always, be training specifically and you want your workouts to always be functional to your sport. 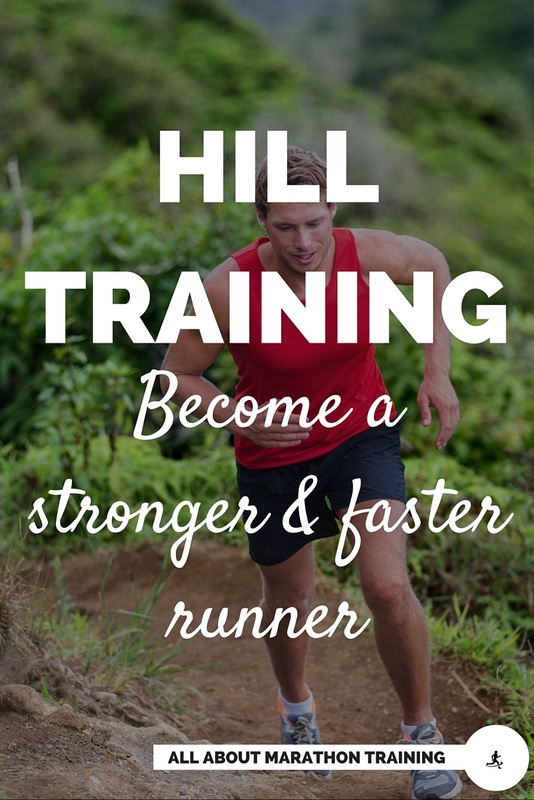 This is exactly what hill sprints are to a runner - specific and functional. What exactly are hill sprints? A lot of runners do hill repetitions which are a longer form of a hill sprint and are used by many runners to help prepare them for the rigors of speed training which usually follow a cycle of hill repetitions. 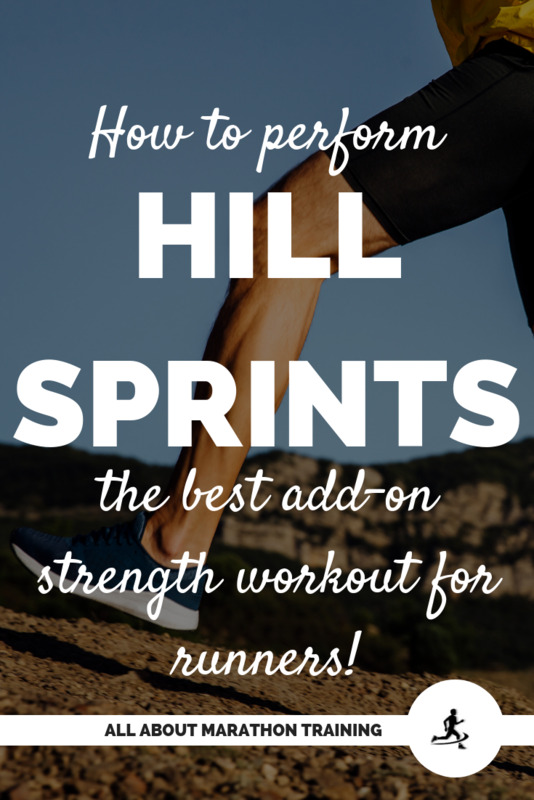 Hill sprints on the other hand can be done even at the beginning of a marathon training plan. 1. Effectively provides against injury as it builds muscle mass (strong muscles are the biggest determinant in avoiding injury). You are training and strengthening those same muscles that you use when you run which is key! 2. 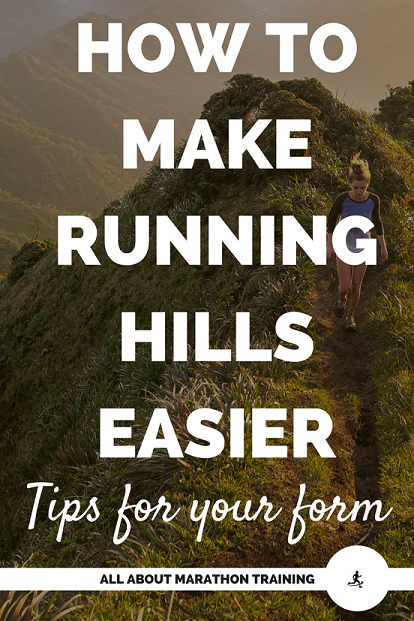 It will set you up for hill repetitions (your body will adapt better when you start a hill training cycle which are usually included in time goal training plans) and ultimately for improving your speed later on. You should always precede a speed training cycle with some lower body strengthening. Hill Sprints and hill repeats are the best way to do this and also help you build those adaptations to allow you to perform solidly when it comes time for speed training. Run at your a near maximum effort. - tack them onto the end of an easy run 1 to 2 times per week for maximal results. MOST IMPORTANT NOTE: To being implementing them into your training plan, start very slowly with running only 1 or at the most 2 hill sprints once a week. Hill sprints can be stressful on your body the first couple of times that you do them before you adapt and you become used to them. You can slowly then add on a sprint each time you do a hill sprints workouts. (provided that you are consistently doing them and not taking weeks off between sessions). Once you hit about 10 hill sprints stop increasing your sprints. You can continue to add them on to the end of your easy runs 1 to 2 times per week as an effective part of an injury prevention plan and strength training plan! You will see results! If you are getting ready to peak for a race, don't start adding these into your plan. However, the very next training plan that you are going to work through, add this quick workout in! If you are casually running, hill sprints are also a great idea to implement and help you grow stronger and push that needle a little bit farther! Let me know what results you see in about 6-8 weeks!